Do you want to write for NetNewsLedger? 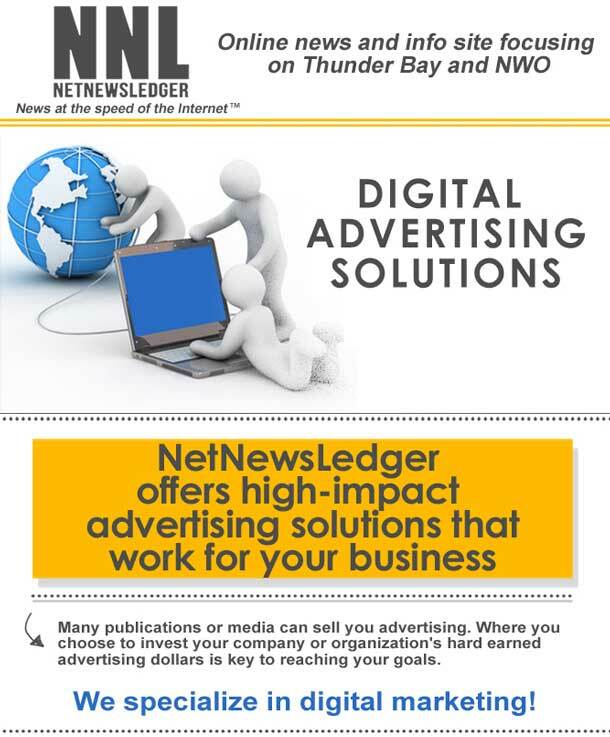 NetNewsLedger is looking for individuals looking to report on news, sports, and events in Thunder Bay, Dryden, Kenora, Sioux Lookout, Fort Severn, Attawapiskat, Sandy Lake, Fort Hope, Webiquie, Martin Falls, Nipigon, Geraldton, Marathon, Wawa, English River, Atikokan, Fort Frances, Vermilion Bay, Red Lake, Ear Falls, and all First Nations communities across the region. We are also looking for individuals looking to share news and coverage from Sudbury, Winnipeg, Calgary, Vancouver, Toronto, and Rome. If you are a Thunder Bay ex-patriat, we would love to hear from you and share what you are doing with the rest of your home region. If you would like more information, contact James Murray @ NetNewsLedger.